The Main Benefit is that Tango Advisor® is a one-person-company, You really matters to me! I bring you the certainty of going to a Show that fits with your tastes, and at this side you account with a human speaker ready to assist and take care you. 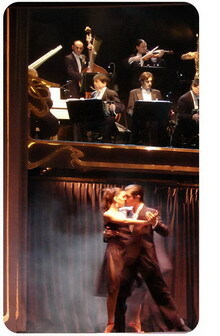 - You get full information about the kind of Show (Tango Show, Milonga) and the Menú, suggestions included. The Tango Shows includes round transfer (for hotels and appart guests) to many touristic areas. In summary, I take care of your experience as if you were part of my family, because I love and respect Tango and I would love your recommendation.